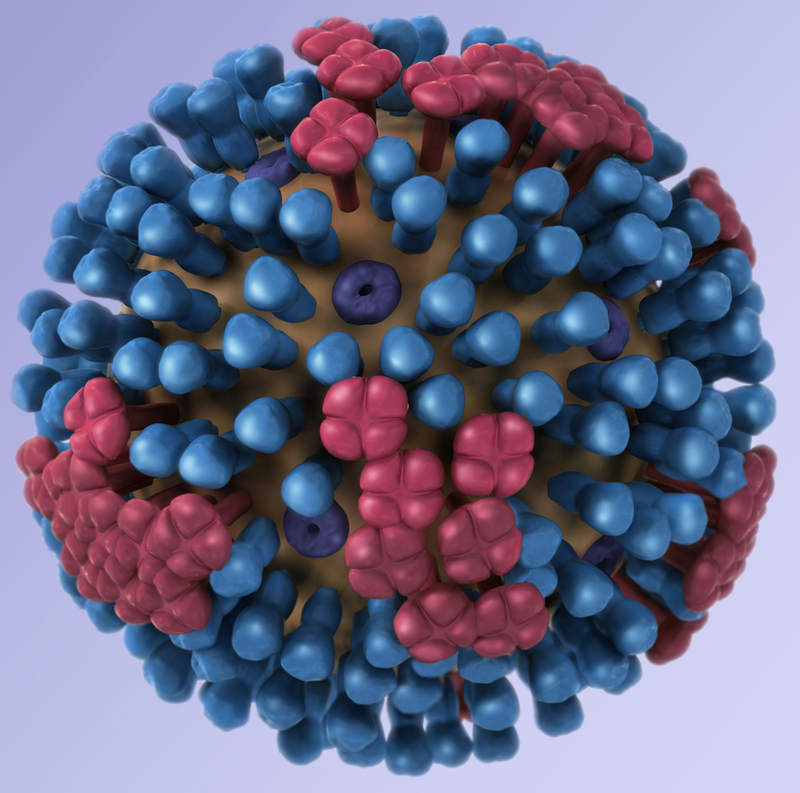 Researchers hope to model how this ball of virus makes people sick. RICHLAND, Wash. — Viruses such as Ebola, West Nile and Influenza all have the potential to kill people they infect, but antiviral drugs either don't exist or are losing effectiveness. A new $18 million study led by pathobiologist Yoshihiro Kawaoka at the University of Wisconsin-Madison with support from the Department of Energy's Pacific Northwest National Laboratory seeks to provide a detailed molecular understanding of how humans respond to these viral pathogens. The study's goal is to design and develop new drugs to thwart infection. The plan is ambitious, seeking to build virtual models of organs the viruses attack -- the liver and the lung -- and to validate their accuracy with experiments in animals in five years. To acquire enough molecular data to create the models, PNNL researchers will perform high-throughput experiments that allow them to make thousands of measurements at a time. About a third of the funding, or $6.6 million, will support the PNNL team's effort to gather data and model the data on computers. Computational scientist Katrina Waters and analytical biochemist Richard D. Smith will lead the PNNL team. Research teams from Wisconsin, Washington University in St. Louis and Rocky Mountain Laboratories in Hamilton, Mont., will infect mice and cell cultures and prepare the samples in laboratories with the appropriate safeguards. The samples will be sent to PNNL and EMSL, the DOE's Environmental Molecular Sciences Laboratory on the PNNL campus. The collection of fats that serve as either structural components, energy stores or as signals within cells. All this data will paint a picture of what is going on during infection. To see that picture, the team will combine these and other available data in state-of-the-art computer models. By predicting how bodies behave when infected by the viruses, these computer programs will help researchers find new approaches to prevent or fight infection. Click here to read the entire release from the University of Wisconsin-Madison.